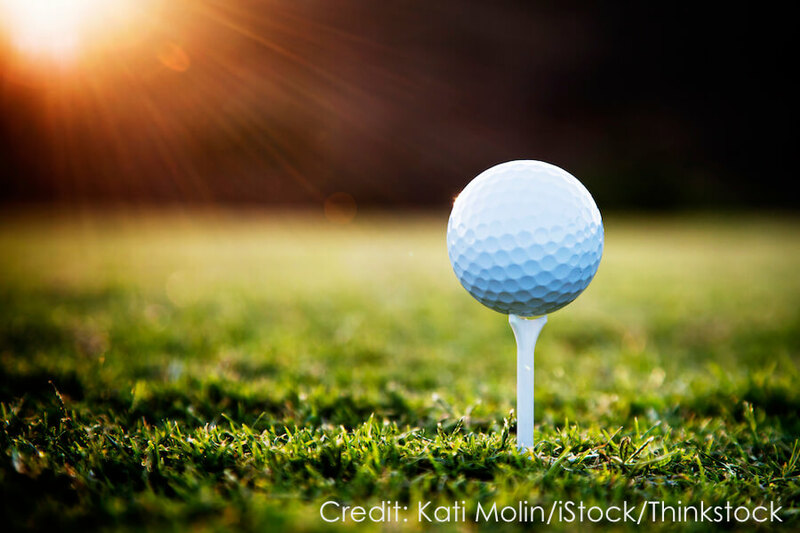 North Carolina is home to more than 400 golf courses across the state. Lake Lure golf courses are some of the most beautiful courses to play. From the rolling mountains to sparkling lakes, these Lake Lure golf courses are a wonderful place to find peace while playing a few holes. Grab your clubs and set your tee time at one of these 4 Lake Lure golf courses. If you plan on traveling to our area for a spring getaway, be sure to download our free Chimney Rock Vacation Guide. If it’s your first time visiting Chimney Rock, our free guide will give you tips on some of the best things to do during your vacation. 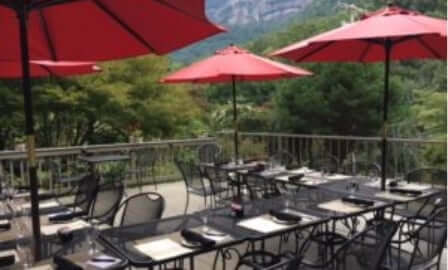 In addition to Lake Lure golf courses, you’ll know about upcoming festivals and events, the best local restaurants you’ll want to try and the outdoor recreation this area is known for. The guide is free and arrives right to your inbox! Rumbling Bald Resort on Lake Lure is home to 2 world-class golf courses. The Bald Mountain Golf Course you might recognize from the movie Dirty Dancing. This course includes five par 5’s and five par 3’s. After March 10th, the course is open daily from 8:30 am to 4:00 pm. The cost for 9 holes is $25 and 18 holes are $35 to $40 depending on the day of the week. Proper Golf attire is required. Apple Valley Golf Course has been referred to as the most beautiful mountain golf course by Golf Digest. Opened in 1986, this course features 18 holes which are ideal for both advanced players and beginners. Along the course, you will play in both the valley and in the mountains. Located not too far from the Inn in Hendersonville, NC is Cummings Cove Golf Course. This par 71 course offers 18 holes which are each unique to play. From the tree-lined fairways to views of lakes and streams, this is a beautiful course to take in. Rates vary by season. The Etowah Valley Golf Club is another gorgeous location for golf in our area. Located in near Asheville, the Etowah Valley Golf Club offers golfers 27 holes. With 3 9-hole courses, the number of 18-hole combinations is endless. You’ll want to return to this location for its amazing mountain views and emerald green fairways. 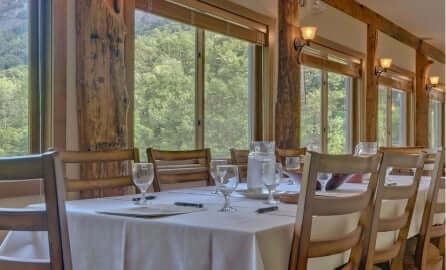 Tucked away in the North Carolina Mountains overlooking the Rocky Broad River is The Esmeralda Inn & Restaurant. This charming and rustic Inn has been welcoming visitors since its opening back in 1892. It’s no wonder guests love coming to The Esmeralda Inn. The Inn is home to 14 guest suites and 3 private cabins offering breathtaking views of the surrounding nature. Each morning begins with a full country breakfast and hot coffee sure to start your day off with a smile. 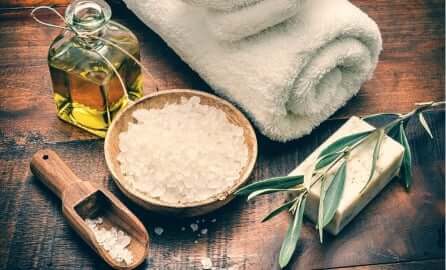 When booking your reservation, be sure to ask us about our Stay and Play Package. 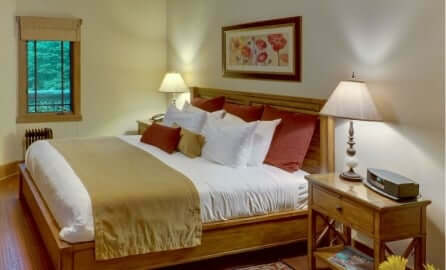 Included with your 2-night stay, you’ll receive a round of golf, range balls, lunch and a draft beer. There’s no better way to unwind than with some time spent chipping the green. Come and stay with us this spring! We look forward to meeting you soon!